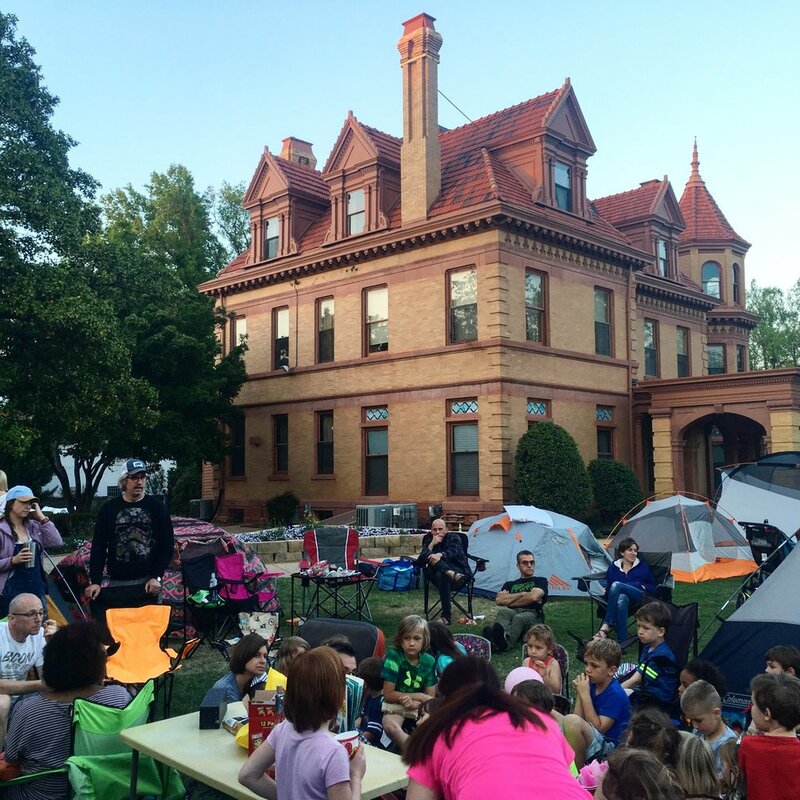 Urban Campout — Preservation Oklahoma, Inc.
Join us for a fun evening under the stars on the grounds of the Overholser Mansion! The evening will feature outdoor activities, a tour of the mansion, and sleeping under the beautiful Oklahoma sky! On-site security is provided. The cost is $100 per campsite, which includes space for up to six people or a six-person tent (or smaller). Campers/RVs welcome too! We'll have all the fixings for your favorite campfire foods including hot dogs and s'mores, along with juice and donuts for the morning. Just interested in hanging out for the evening? We are also offering a $50 dinner option for a family of four. All funds raised from Urban Campout go towards the maintenance and upkeep of the Overholser Mansion.